Like the 49ers when they had Joe Montana and then ADDED STEVE YOUNG, Marlowe goes from already-the-best-restaurant-ever to somehow-better-than-the-best-restaurant-ever today with the opening of its new SOMA location (where the old Coco 500 used to be), which is exactly like the old Marlowe, except it's bigger. And has liquor. AndandAND a patio. ANDANDANDANDAND... just keep reading, dude. 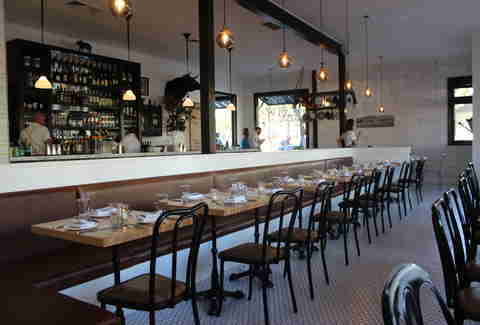 The new Marlowe comes with tons more seating (they went from 40 seats in the old spot to EIGHTY in the new), white marble countertops, and retro light fixtures, but maintains the charming butcher shop-inspired theme from the old space. 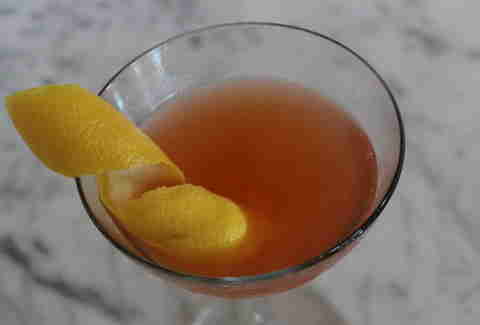 Marlowe's first-ever cocktails all keep with their butcher theme, and are categorized by "Professions" (The Butcher, The Baker, The Candlestick Maker), "Pasture" (The Bull, The Sow, The Calf), and "Tools", which include The Grindr, La Cuchilla, and the More Cowbell, with barrel-aged 209 gin, lemon, Aperol & Cardamaro. 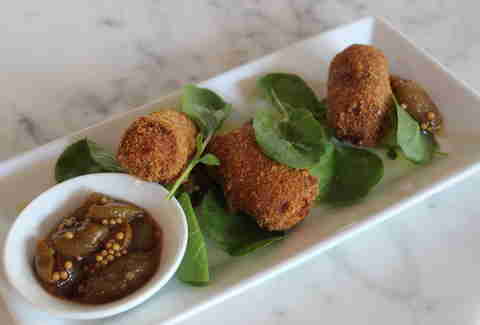 Exec Chef Jennifer Puccio gets that sometimes you just want a cocktail and a snack, so she's dedicated an entire section of the menu to just bar bites, which include the likes of chicken fried okra and this duck liver cromesqui, which is meant to be shared, even though you're not going to want to. A half dozen oysters? Yes, please. 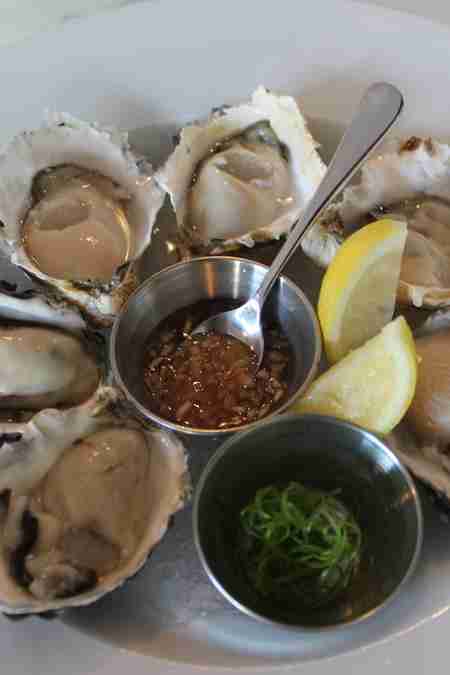 A full dozen oysters? Yeah let's do that, too. 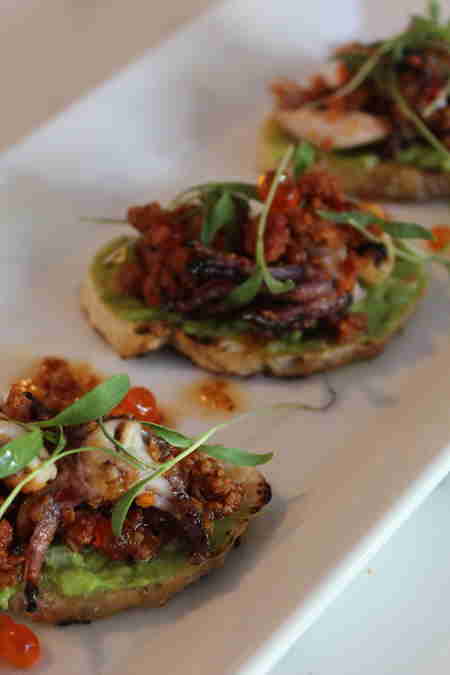 Pair the grilled calamari and chorizo with The Baker (Templeton rye whiskey, Aperol, grapefruit, lemon & wildflower honey). Oh, did we mention there's a patio? 'Cause there is, with adorable barn doors that open to the street. 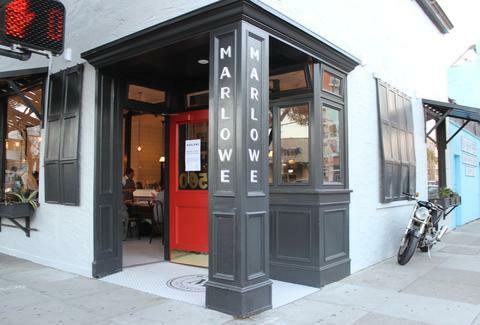 Also, you didn't hear it here (unless someone asks, in which case you definitely did), but later on this fall, Marlowe is going to start serving brunch. You just died. Which is sad, because we saved the best for last. "What...", you're thinking. "That's just a picture of a window". Surprise! It's actually a magical window that, in a few weeks' time (fingers crossed! 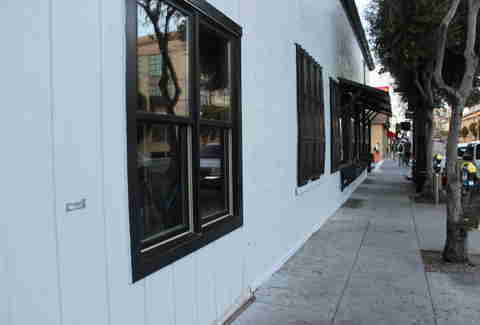 ), should have a completely different look, out of which will appear Marlowe Burgers. That's right: what you thought was just an ordinary window is actually a HAMBURGER WINDOW. Annnnnnnnd now the Joe Montana-Steve Young thing finally makes total sense. 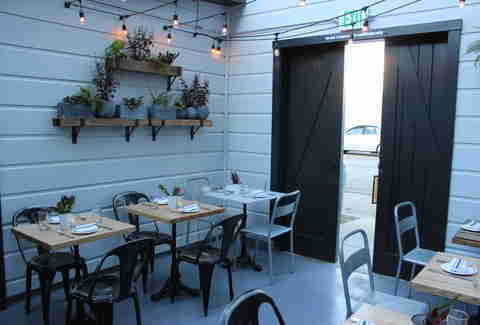 Daisy Barringer is Thrillist's SF Editor and she wishes that Marlowe Burgers were served out of all windows. Follow her on Twitter @daisy to learn about her other hopes and dreams, most of which stem from a childhood obsession with The Jetsons.